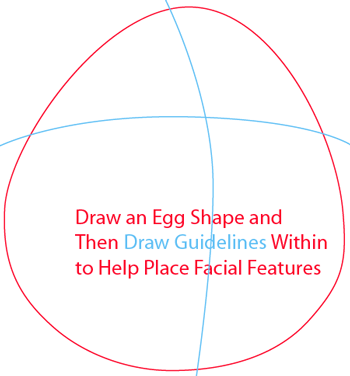 Draw an egg shape then draw guidelines within the shape to help place facial features. 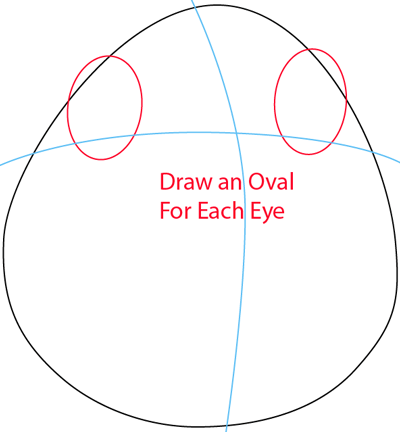 Draw an oval for each eye. 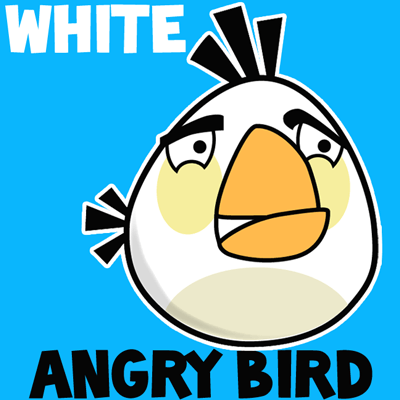 Add a circle to each eye for the pupil. 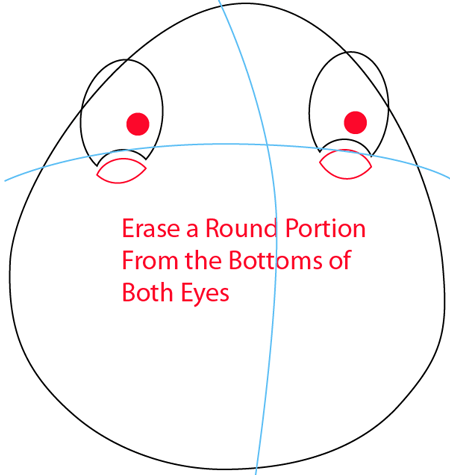 Erase a round portion from the bottoms of both eyes. Draw a rectangle for the left eyebrow that is a bit rounded. 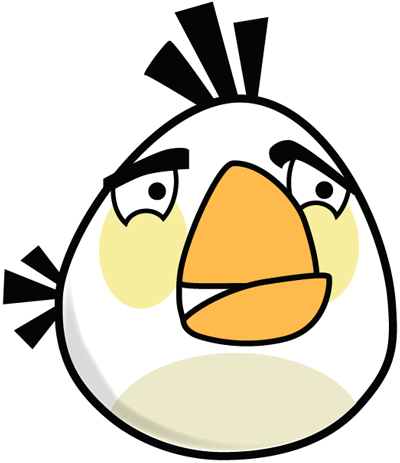 For the right eyebrow, a sideways Letter J. 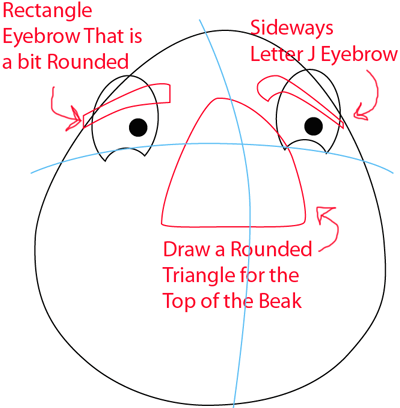 Draw a rounded triangle for the top of the beak. 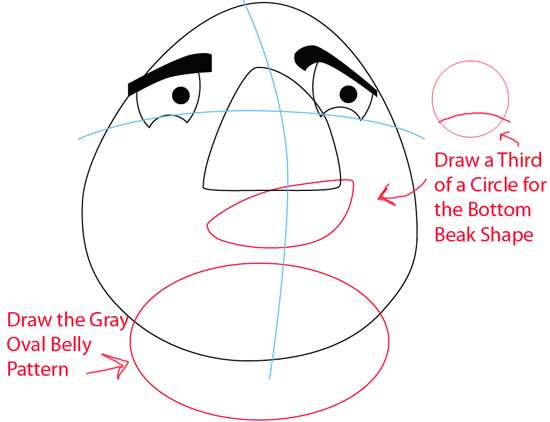 Draw a third of a circle for the bottom beak shape. 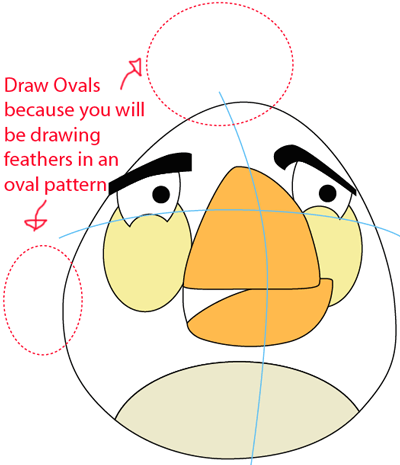 And draw the gray oval belly pattern. 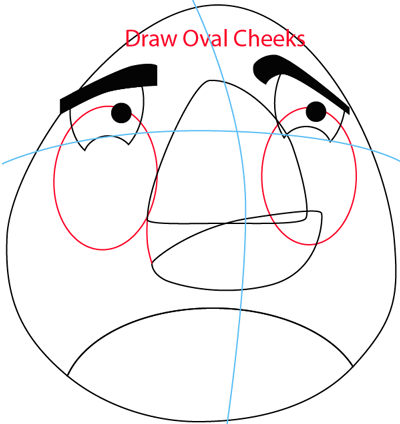 Draw two ovals for the cheeks. 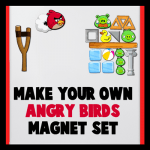 Draw ovals to be used for drawing feathers guide. Draw rectangle feathers inside the ovals and then erase the ovals.